Description: On this week's show, we start our SPRING PROJECT shows and heading the line-up for the coming weeks are Patricia Hobbs-Cameron and Bob Cameron from NORCOL Custom Exteriors. Listen in and learn from Pat & Bob about their products including siding, stone, stone siding and more! Victor is "VOCAL for LOCAL business!" Beach BOOSTER Radio, Wasaga Beach's only truly LOCAL radio! Podcasts available ON DEMAND on any device. Please enjoy and SHARE! Photo: Patricia & Bob from NORCOL. On this week's show, we start our SPRING PROJECT shows and heading the line-up for the coming weeks are Patricia Hobbs-Cameron and Bob Cameron from NORCOL Custom Exteriors. Listen in and learn from Pat & Bob about their products including siding, stone, stone siding and more! Victor is "VOCAL for LOCAL business!" 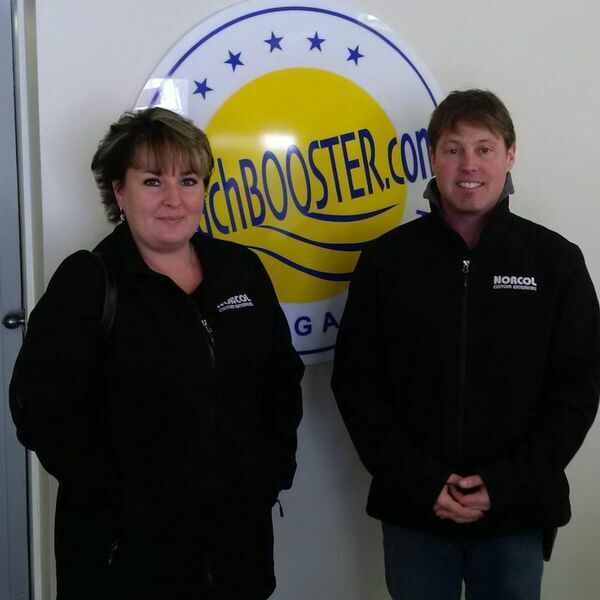 Beach BOOSTER Radio, Wasaga Beach's only truly LOCAL radio! Podcasts available ON DEMAND on any device. Please enjoy and SHARE! Photo: Patricia & Bob from NORCOL.